Arguably, Horace Wells, an American dentist, made the most important medical discovery in history in 1844. His discovery allowed for the ability to perform surgery on the human body without pain, using nitrous oxide or "laughing gas". However, because little was known of the effects of, and how to teach the control and use of, the anesthetic, he was unable to gain much acclaim prior to his death. Posthumously, both the American Dental Association (1864) and the American Medical Association (1870), herald him as The Discoverer of Anesthesia. William Thomas Green Morton, also an American dentist and close associate of Wells, after experimentation with ether, performed the first successful public demonstration of the wonders of general anesthesia, in what is now call the "Ether Dome", and the leading medical center of it's time, The Massachusetts General Hospital in Boston. 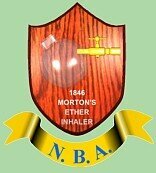 During that public demonstration, Morton administered ether general anesthesia to Gilbert Abbott, to have a tumor removed from the neck by John Collins Warren, M.D., faculty member, and noted surgeon. The room-full of medical students was reportedly awestruck when, Dr. Warren completed the surgery, the patient awakened and Dr. Warren announced, "Gentlemen, this is no humbug". The tradition of discovery, innovation and teaching the discipline of anesthesiology and pain control, by dentists, to overcome human suffering, is long established and has continued uninterrupted since 1844. From the beginning with, Wells discovery; Morton's demonstration and training of physicians to administer anesthesia; other people and events too numerous to mention here, to the current Diplomates of the National Board of Anesthesiology (NBA), the practice of anesthesiology, has been the practice of dentistry. The discipline of anesthesiology is currently shared by dentists, osteopathic physicians and allopathic physicians, as well as nurses, in the United States. Practice acts of all 50 states provide properly trained dentists, physicians and nurses to administer anesthesia. The National Board of Anesthesiology recognized the need for, the verification of training and credentials of, and the examination and certification of, Board eligible anesthesiologists with the D.D.S. or D.M.D. degree, in 1989, when the Board was first incorporated. The NBA is currently incorporated in the state of Kansas, U.S.A.